The Australian Group on Antimicrobial Resistance conducts ongoing surveillance programmes on the spread of antibiotic resistant bacteria, and publishes its findings online. AGAR commenced resistance surveillance studies in 1985 as the Staphylococcus Awareness Program (SAP), sponsored by Eli Lilly Australia Pty Ltd. Its focus initially was on resistance in S. aureus, although there were occasional surveys of other pathogens such as S. pneumoniae and H. influenzae. The first survey into enteric Gram-negatives began in 1992, and focussed on E.coli and Klebsiella spp. Later, Enterobacter spp. were added. 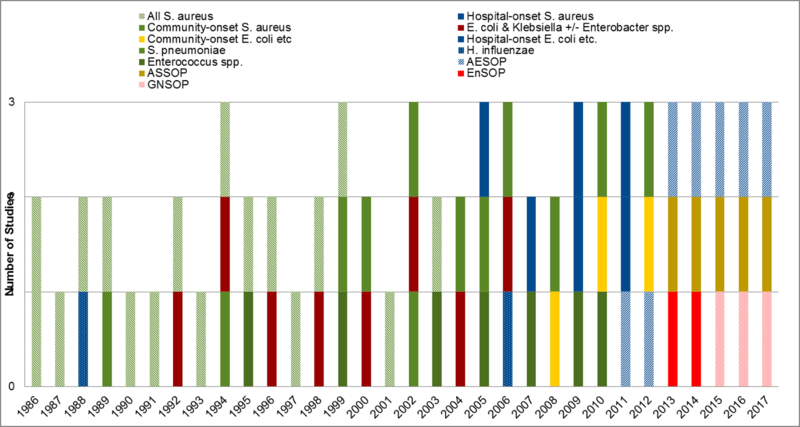 With the emergence on vancomycin-resistant enterococci in Australia in the mid-1990s, Enterococcus spp. species surveys commenced in 1995. The SAP originally involved 14 capital city teaching hospitals around Australia. The numbers of laboratories has gradually expanded, with private pathology laboratories joining in order to capture data from isolates in the community. There are currently 38 member laboratories from all states and mainland territories. EnSOP (Australian Enterobacteriaceae Sepsis Outcome Program). In January 2015, Pseudomonas aeruginosa and Acinetobacter spp. were added to EnSOP forming GNSOP (Gram negative Sepsis Outcome Program). Contributing laboratories provide minimum inhibitory concentration data and demographic data on isolates from all episodes of sepsis continuously. This aligns more closely with the approach taken by the European targeted resistance surveillance system EARS-Net. AGAR has been involved in a number of studies since its inception in 1985, and the full list of both historical and current programmes are visible below. AGAR conducts ongoing surveillance and publishes the results online.